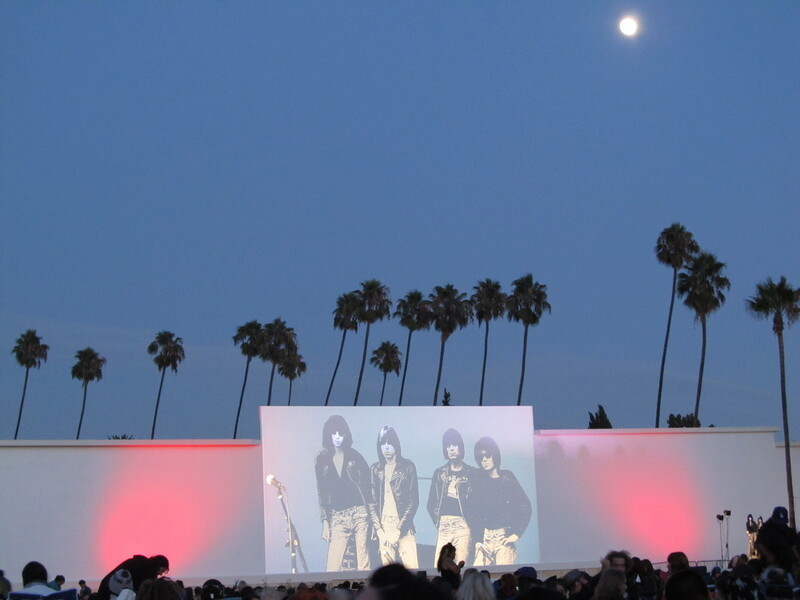 This evening was the 9th Annual Johnny Ramone Tribute at Hollywood Forever cemetery. 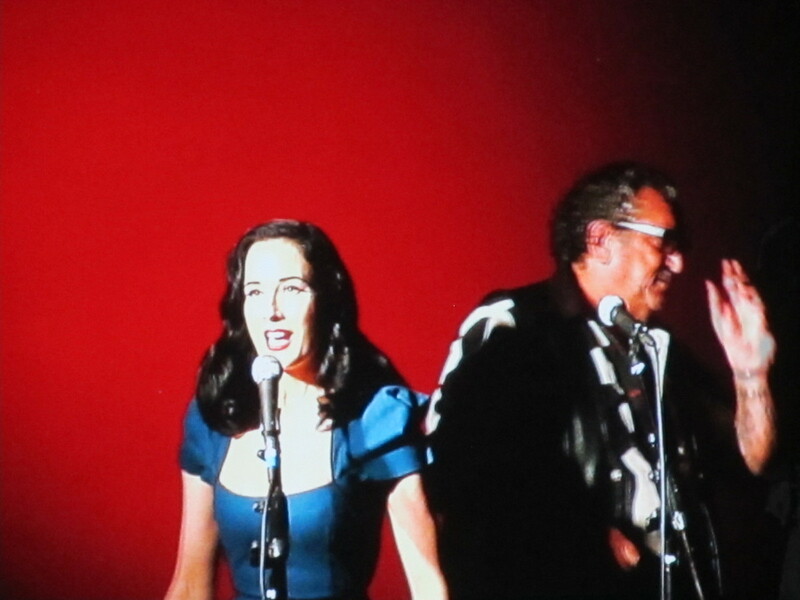 This year, the event included a screening of “Cry Baby“, and a personal appearance by John Waters to introduce the film. 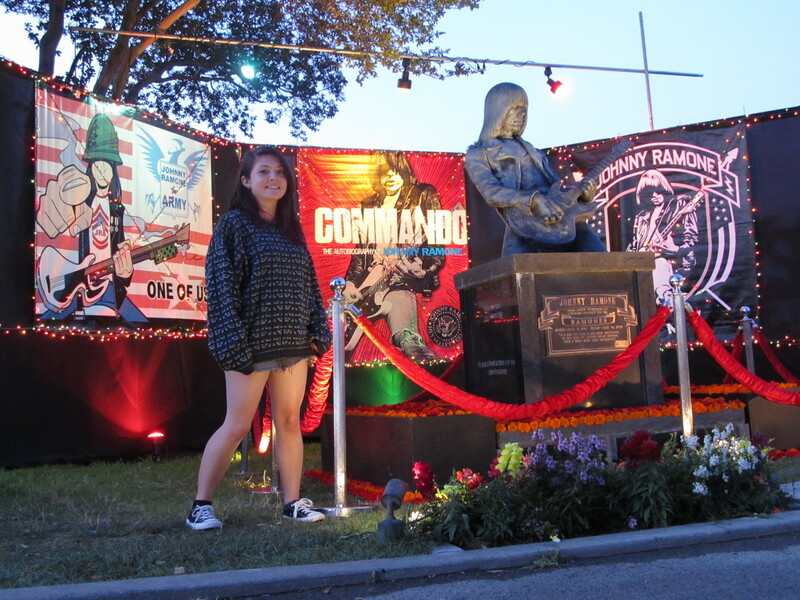 Add to that that Johnny Depp, Traci Lords, and others from the movie were going to be there, Being a big fan of both the Ramones and John Waters, this was an event not to be missed. Since Kathleen was laid up at home recovering from her surgery last Thursday, Lucinda and I made plans to go to this, along with my friend Lisa from the West Coast Labels stair-climbing team. 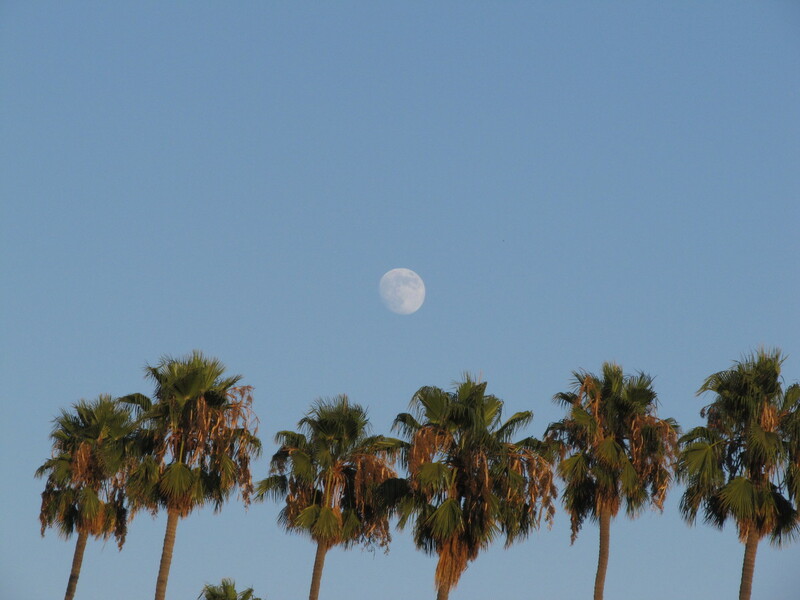 I made us a too-big picnic to bring along, and dug out our Tommy Bahama chairs, and we were ready to go. 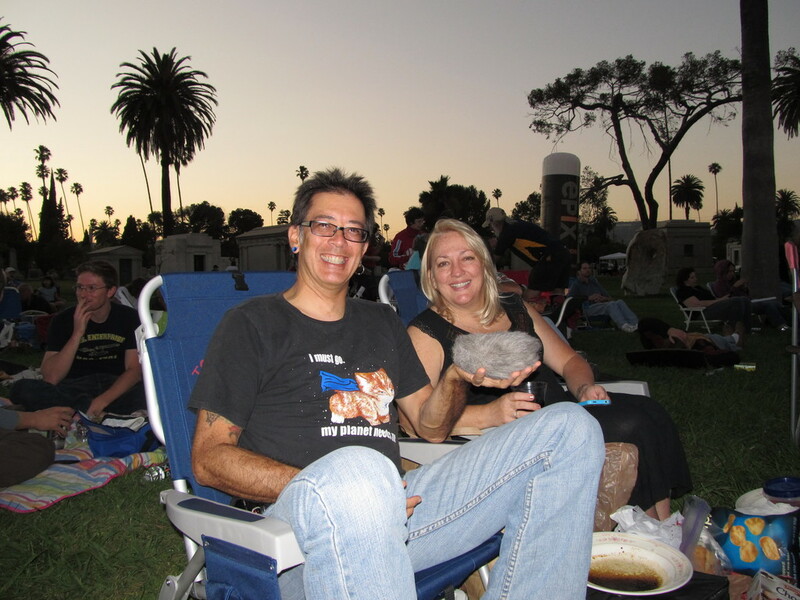 We set up camp on the lawn, and Lisa got in line to get autographs from John Waters. I didn’t bring anything for him to sign, largely because everything I have by him is already signed. And as it turned out, that was a good thing. She waited in line for a long time, and then they cut the line off just before she got to the front. Lucinda spent some time sightseeing in the cemetery and taking pictures. 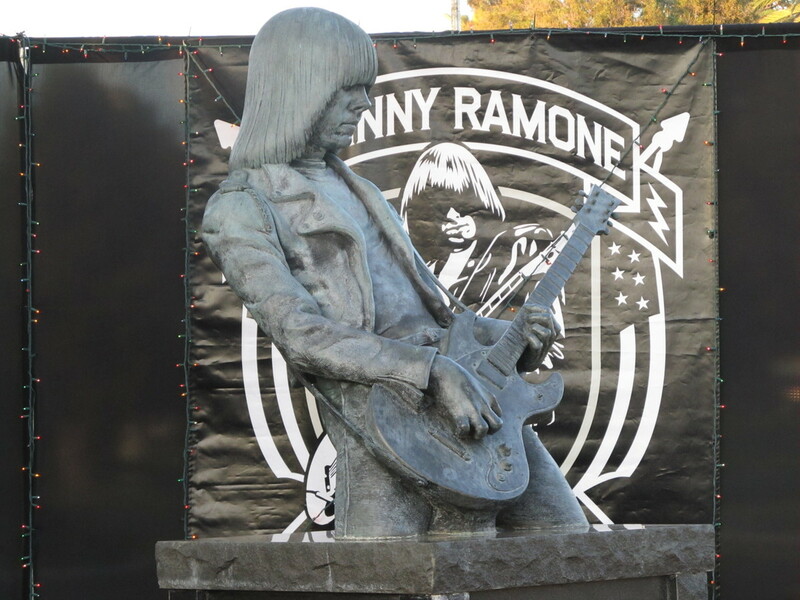 They had Johnny Ramone’s statue decorated for the occasion, and they turned on the lights as darkness fell. Before the film, they held question and answer session with John Waters and the others from the film on the stage. Lucinda was excited when she found out that the panel would be introduced by none other than Dita. They took some questions from the crowd and talked about making the movie. Then John Waters took the stage by himself to introduce the film. As always, he was very funny to listen to. After he finished, we watched the movie, and as always, it was very entertaining. 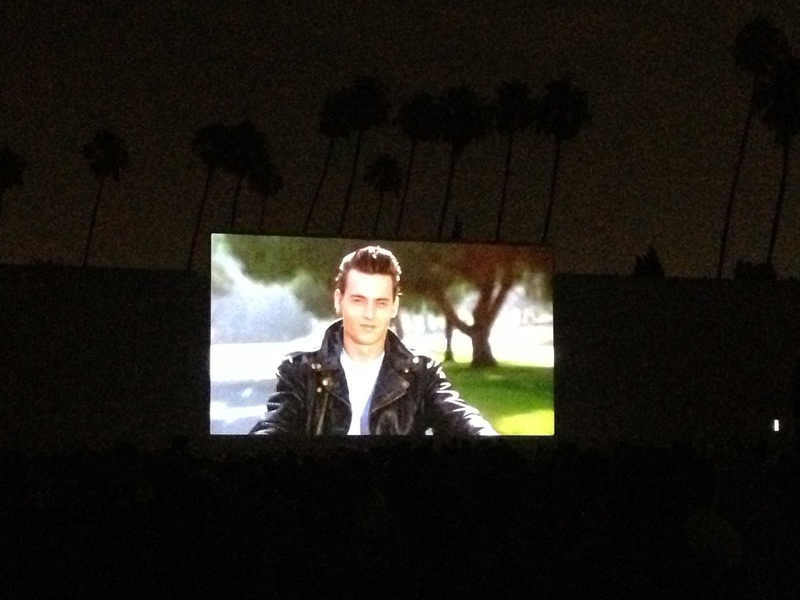 It had been years since I saw “Cry Baby”, so all around, this was a very fun evening. 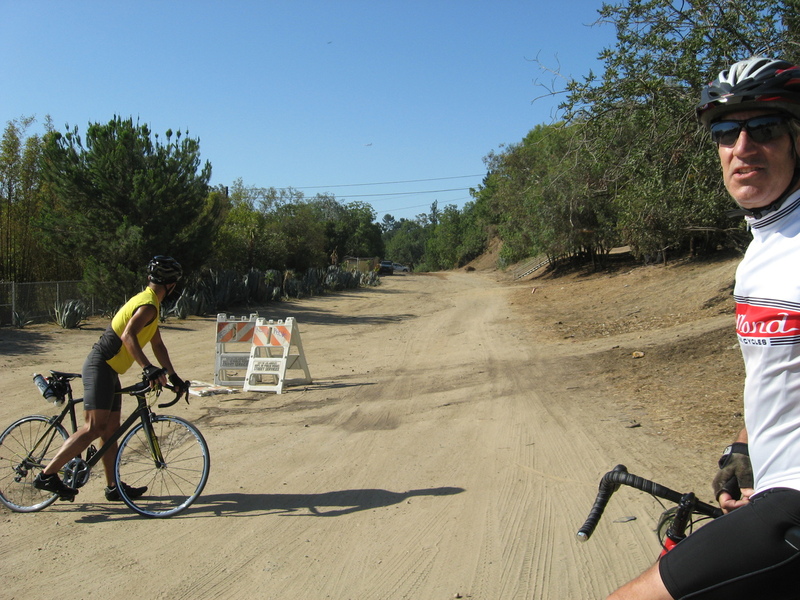 Today’s ride was a visit to what’s referred to as the Corralitas Red Car Property in Silver Lake. 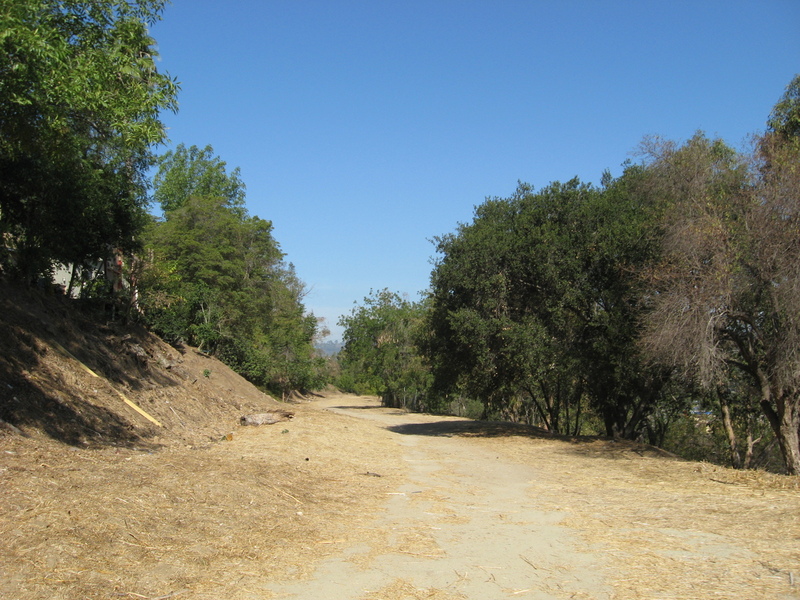 This is a strip of land that used to be the right-of-way for the Pacific Electric Glendale line. 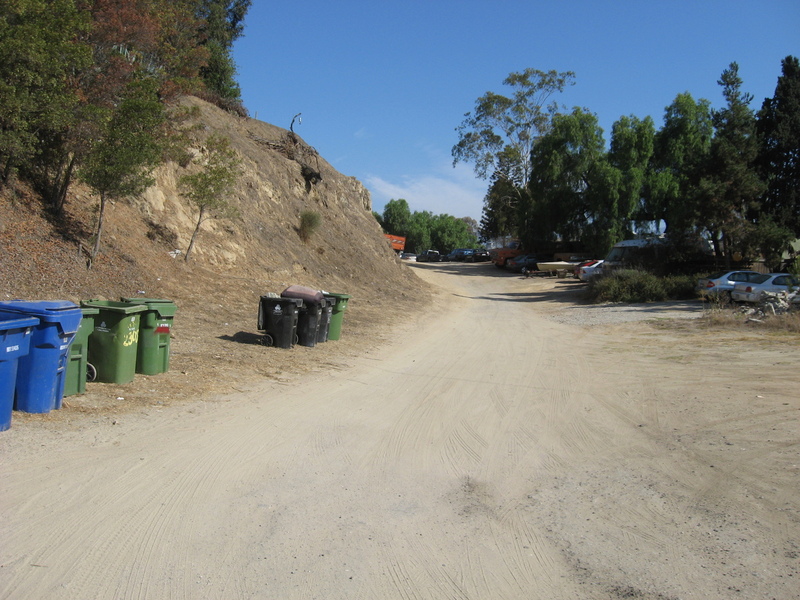 It runs from right next to the Glendale Freeway to the top of the hill overlooking Fletcher Drive and Riverside. At one end, the tracks used to run where the present-day freeway stands, and at the other end, there used to be a high trestle across the valley where Fletcher Drive runs now. The footings for the trestle are still visible on the hillside. 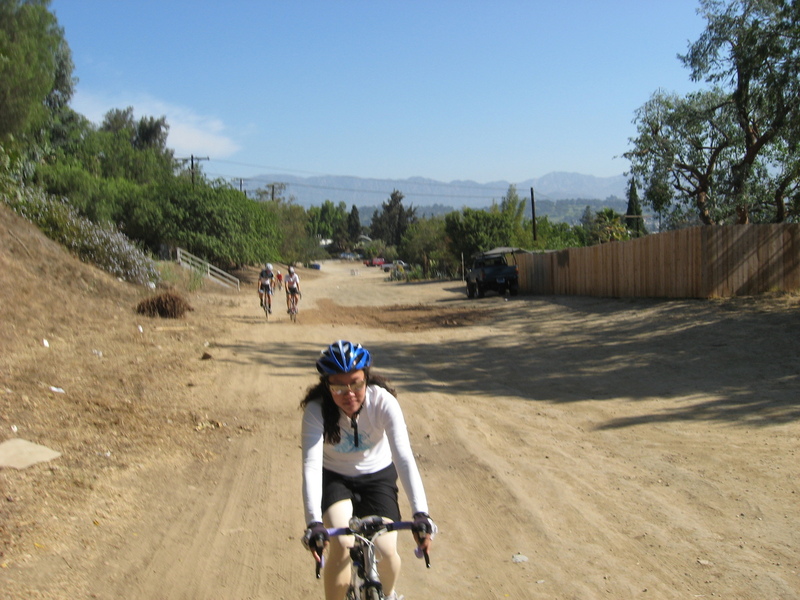 From there, we turned around and rode the length of the trail back to where it ends by the freeway. 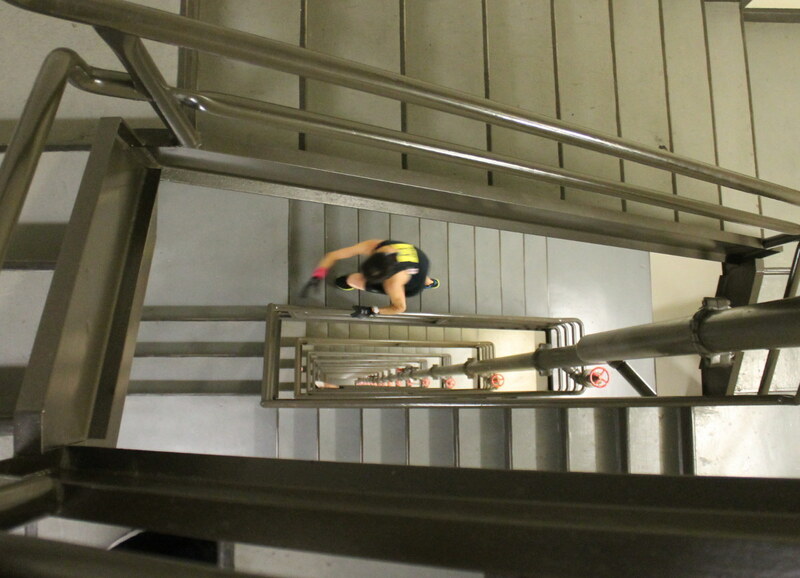 Then we got back on the streets and rode down Riverside to Stadium Way. After our experience a few weeks ago, I’d looked to make sure there wasn’t a Dodger home game today, since we’d be going right past the stadium. 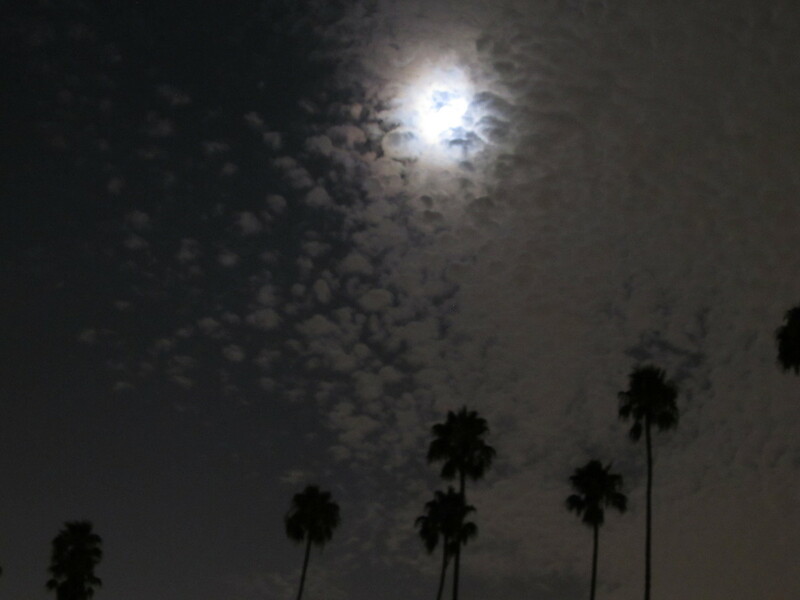 We rode through and down into Echo Park to Chango Coffee. 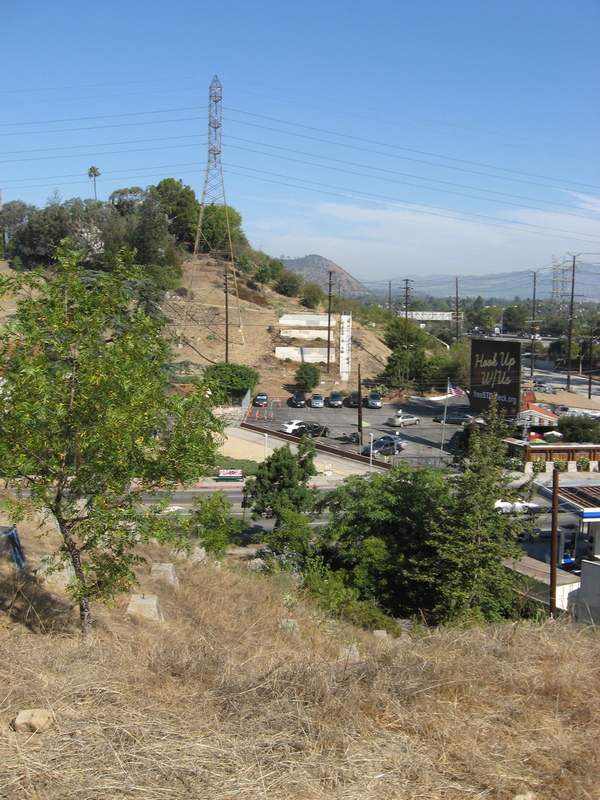 After the snack stop, we rode up the steep hill out of Echo Park, passing the gates of Dodger Stadium. 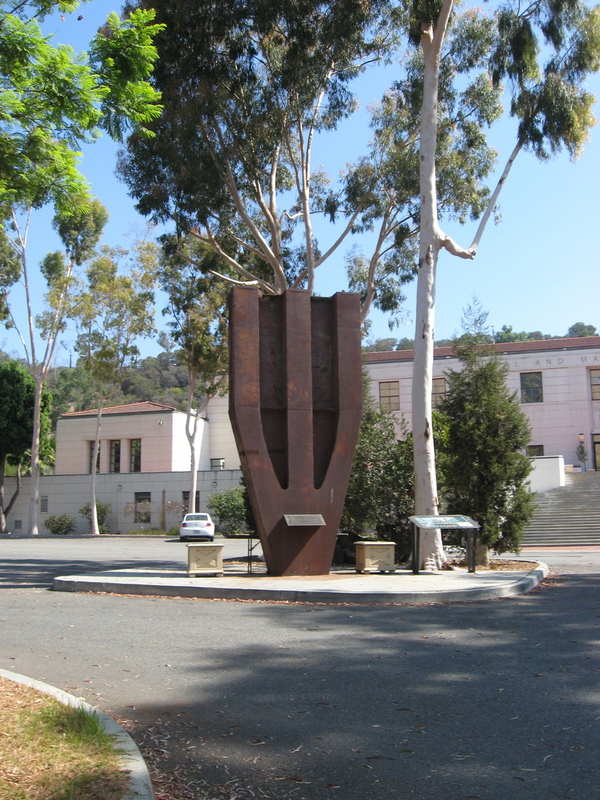 We also passed the Los Angeles Fire Department academy, and the World Trade Center memorial there. 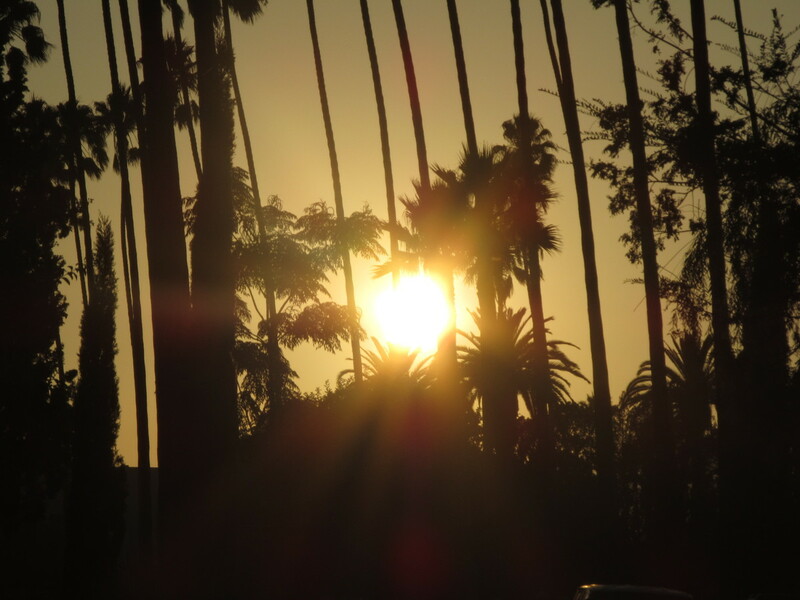 Then, we turned east up Broadway and headed for home by way of Huntington Drive. 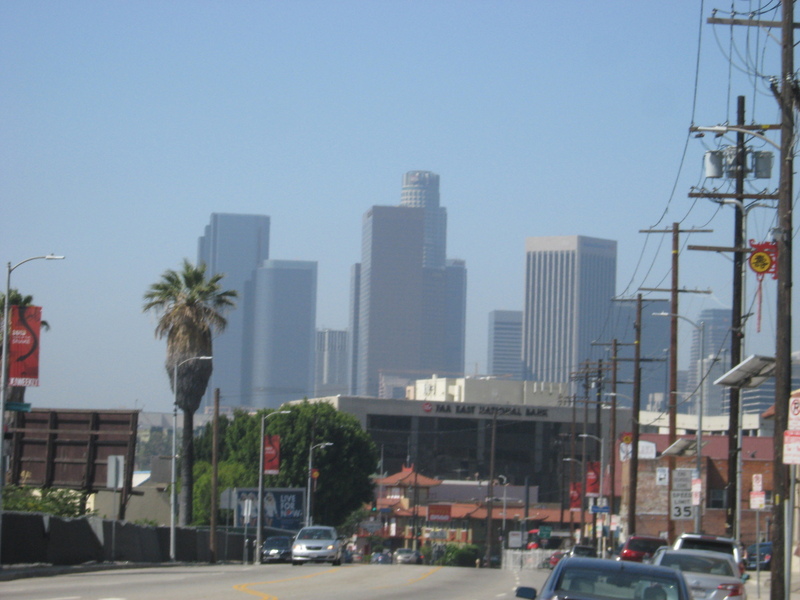 It was a perfect day for riding, and an interesting bit of Los Angeles history.